The name Kilravock comes from the castle in Scotland which the Rose clan has called home and to where we can trace our ancestry. We chose to use this name for our signature red wine blend, which allows us the opportunity to make the best wine possible from each vintage, hand selecting the barrels that we feel produce the best wine. It also allows us to use any grapes that we have available to us to make the best blend, not just limiting us to Bordeaux varietals. 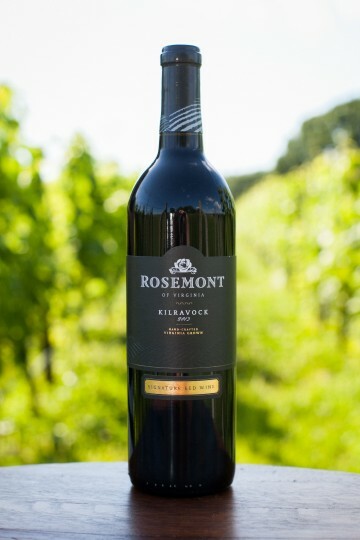 This vintage of Kilravock begins with aromas of blackberries, cherries and dark chocolate. On the palate, it is fruit forward with hints of caramel, licorice, figs, toast and just a touch of oak. It’s well balanced from your first sip to the end, with velvety tannins that linger on the finish. This vintage will continue to age nicely in years to come. I received this as a gift from a friend…and now…I want it every day. Truly a delightful experience. Bought this at the Virginia Wine Expo in 2015 and think so highly of it, we are trying to save it to share with special friends when they visit. Magnificent!